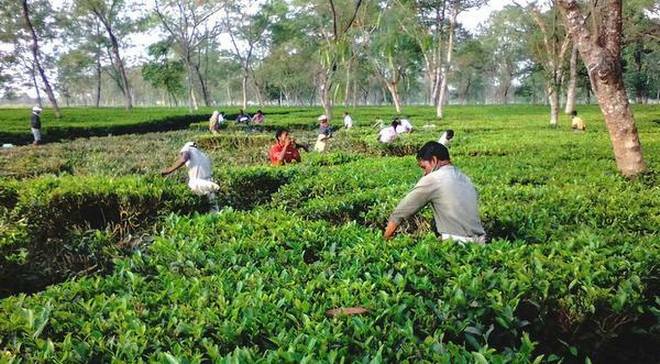 Alipurduar/Jalpaiguri: Work will resume in two closed tea estates of the Dooars, one each in Alipurduar and Jalpaiguri, in the next 10 days. The decisions were made at separate tripartite meetings in Calcutta and Jalpaiguri on Tuesday, both convened by the state labour department. The Demdima estate of the Duncans Goenka Group in Alipurduar's Birpara-Madarihat block will reopen on March 9. The Hilla estate, in Jalpaiguri's Nagrakata block, will open on March 5. "Demdima has been closed since April 2014 after the management abandoned it. There are 1,620 workers. It is good that the group has agreed to reopen it at the tripartite meeting in Calcutta," said Mohan Sharma, Alipurduar district Trinamul president. This is the fifth Duncans estate in Alipurduar district to reopen recently. Two of its other gardens, Lankapara and Tulsipara, may reopen in another month, said a source. Trinamul is putting in all efforts to ensure all closed estates in the Dooars reopen ahead of the rural polls this year. "Trinamul leaders are telling people that the Centre and the BJP has failed to reopen any of these gardens despite assurances. Instead, it is the state that has succeeded in convincing tea companies to resume activities," said an observer. "On March 9, workers of the Demdima will receive half of their due bonus for 2014 and in next three years, 60 per cent of their dues will be cleared. There will be no retrenchment," said Sharma, also the president of Cha Bagan Trinamul Congress Mazdoor Union. His colleagues in Nagrakata also sounded happy over the reopening of Hilla, closed since January 8 this year. "It is a positive development that the garden could be reopened within two months," Amarnath Jha, a Trinamul leader, said. Hilla has 779 workers. Work will resume in two closed tea estates of the Dooars, one each in Alipurduar and Jalpaiguri, in the next 10 days. The decisions were made at separate tripartite meetings in Calcutta and Jalpaiguri on Tuesday, both convened by the state labour department.